April 4, 2019 by Cheree' 1 Comment This post may contain affiliate links, which means if you click on a link and purchase something, I may earn a small commission (at no additional cost to you.) See my disclosure policy HERE. 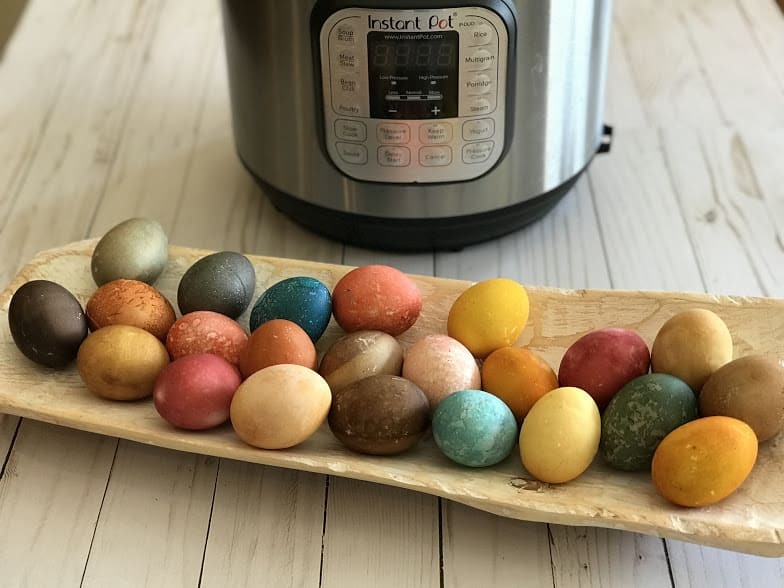 I hope you've been enjoying all these Instant Pot Easter egg experiments this week! 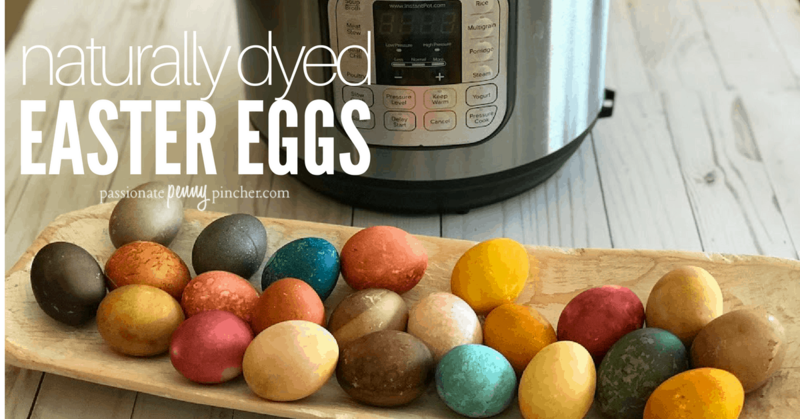 This is one of my FAVORITES that Cheree has tried for us this week – naturally dyed Easter eggs! Our next method was really cool. 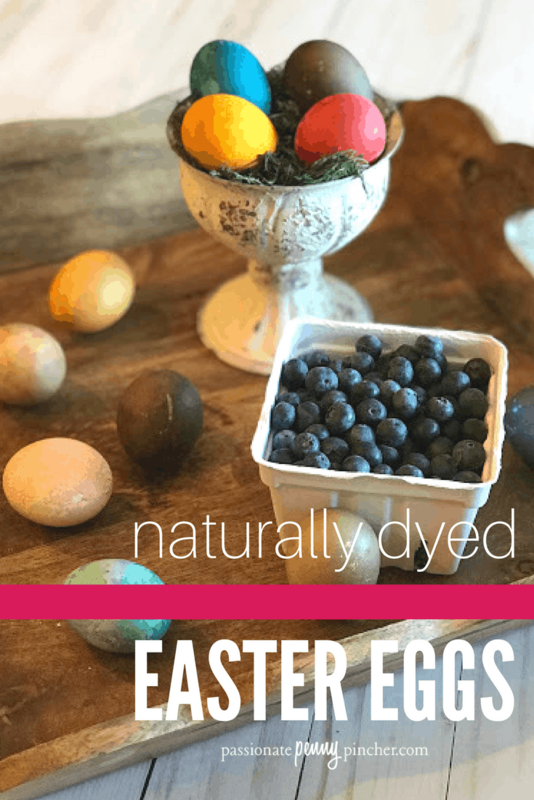 If you have never dyed eggs using natural ingredients, I definitely suggest trying a few of these. 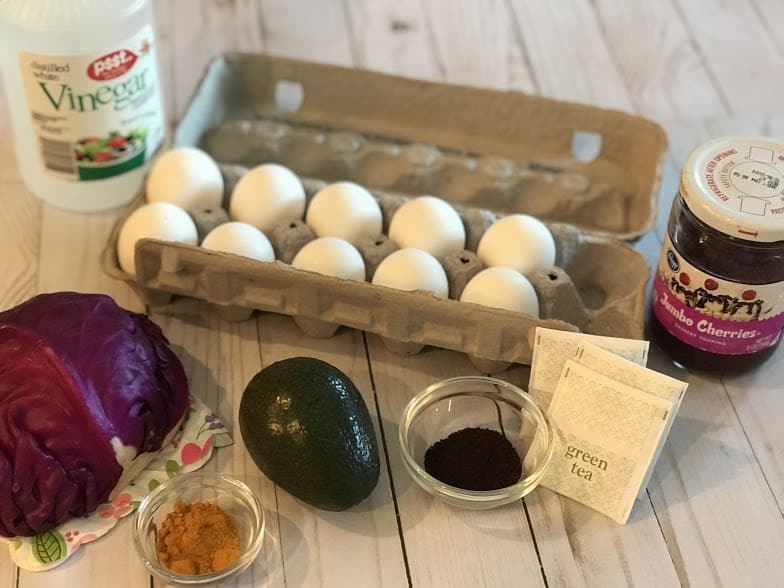 The red cabbage, avocado and turmeric eggs were my favorites! Who knew that avocado skins turn red??? Don’t have an Instant Pot, no worries – this method works great on the stove top as well! Scroll down for stove top instructions! But, unfortunately that is not the case. So for this one you will need a bit of patience (trust me it's worth it). I had a rainy Saturday so it was a great day to test these out! The instructions are a bit different for each ingredient, so here is a list of what worked for me. Blueberries: Cook 1 package of frozen blueberries (or fresh) with 8 cups of water in your instant pot. I did mine on high pressure for 10 minutes, natural released for 10 minutes and then quick release. 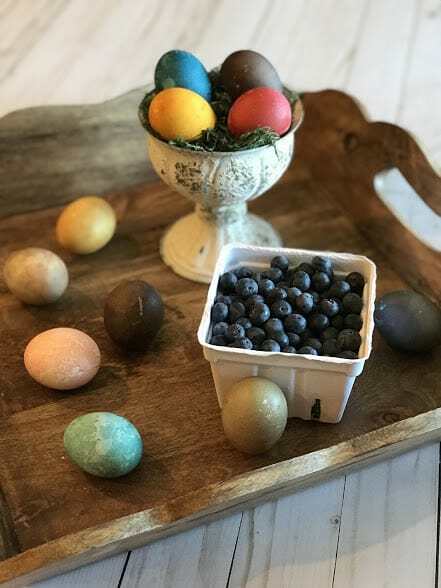 To cook the eggs, add 1/2 cup vinegar to the blueberry mixture. Add trivet and eggs. Cook 5 minutes on high pressure, natural release 5 minutes, then quick release. Strain to a bowl and let the eggs soak until they reach the desired color. These will turn from light purple to a deep plum the longer they soak. Turmeric: Add 8 tablespoons turmeric, 8 cups water and 1/2 cup vinegar to instant pot. Add trivet and eggs. Cook 5 minutes on high pressure, natural release 5 minutes, then quick release. 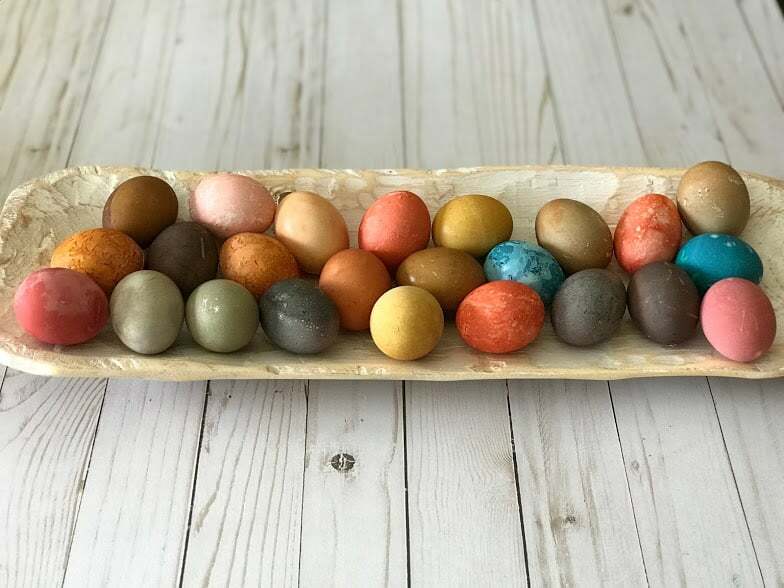 Strain to a bowl and let the eggs soak until they reach the desired color. These turn from a light yellow to a deep maze yellow the longer they soak. Coffee: Brew 8 cups strong coffee. Add coffee to instant pot along with 1/2 cup vinegar. Add trivet and eggs. Cook 5 minutes on high pressure, natural release 5 minutes, then quick release. Strain to a bowl and let the eggs soak until they reach the desired color. These will give you some awesome dark brown eggs! Avocado: Cook skins of 2 avocados with 4 cups of water in your instant pot. I did mine on high pressure for 10 minutes, natural released for 10 minutes and then quick release. To cook the eggs, add 1/2 cup vinegar to the avocado mixture. Add trivet and eggs. Cook 5 minutes on high pressure, natural release 5 minutes, then quick release. 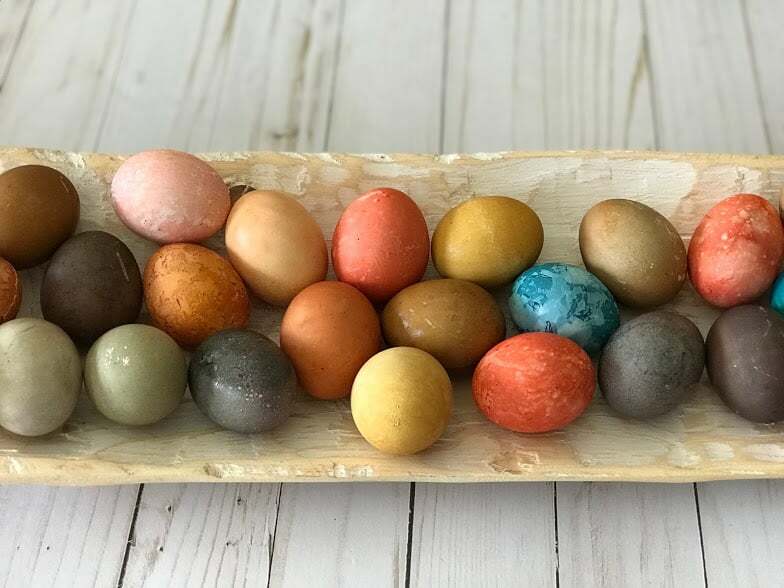 Strain to a bowl and let the eggs soak until they reach the desired color. This color is AMAZING! These will turn almost a salmon red, just gorgeous! Red Cabbage: Cut cabbage into strips. Add cabbage, 8 cups of water and 1/2 cup vinegar to your instant pot. I did mine on high pressure for 10 minutes, natural released for 10 minutes and then quick release. I tried to cook the eggs in this mixture and it just didn't work. This one works better to use hard boiled eggs (made in your IP) and let soak until they reach the desired color. The longer these soak the more vividly blue they become. The ones that I did boil with the cabbage did pick up a texture that was cool to see come out as they soaked. Green Tea: Brew 8 cups strong green tea. Add green tea to instant pot along with 1/2 cup vinegar. Add trivet and eggs. Cook 5 minutes on high pressure, natural release 5 minutes, then quick release. 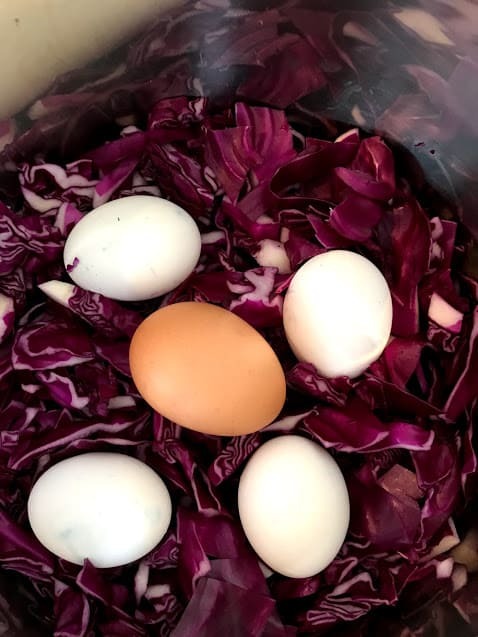 Strain to a bowl and let the eggs soak until they reach the desired color. These will go from a light yellowish green to a deeper greenish/brown color. 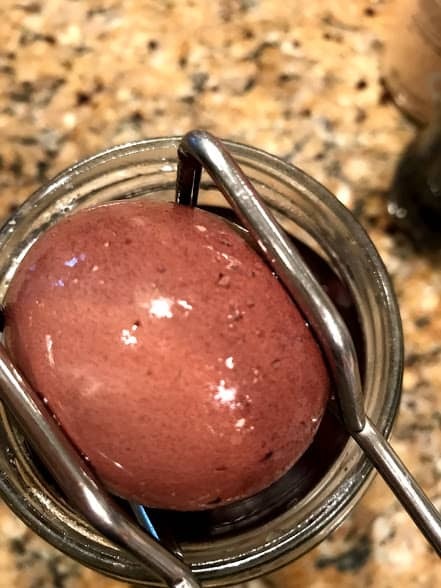 Red Cherries: Cook 1 jar red cherries with 8 cups of water in your instant pot. I did mine on high pressure for 10 minutes, natural released for 10 minutes and then quick release. To cook the eggs, add 1/2 cup vinegar to the cherry mixture. Add trivet and eggs. Cook 5 minutes on high pressure, natural release 5 minutes, then quick release. 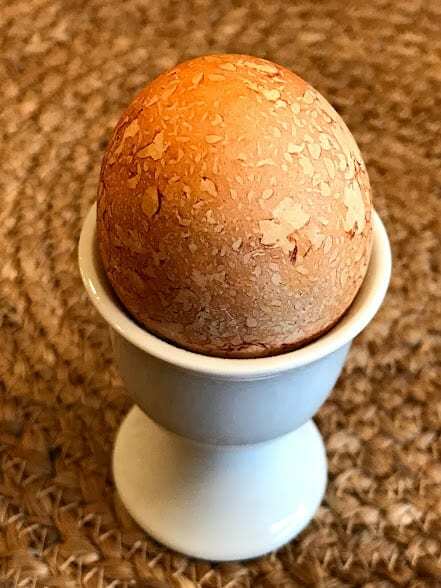 Strain to a bowl and let the eggs soak until they reach the desired color. These will range from pink to dark pink the longer they soak. Yellow Onions: Cook the skins from 4 large yellow onions with 8 cups of water in your instant pot. Cook on high pressure for 10 minutes, natural release 10 minutes and then quick release. To cook the eggs, add 1/2 cup vinegar to the onion mixture. Add trivet and eggs. Cook 5 minutes on high pressure, natural release 5 minutes, then quick release. Strain to a bowl and let the eggs soak until they reach the desired color. These will turn a burnt orange/tan color. For vegetables and fruits: Boil veggies or fruit in 8 cups water for 20 minutes or until cooked down. Let cool and strain. Add 1/4 cup vinegar to the mixture along with hard boiled eggs. 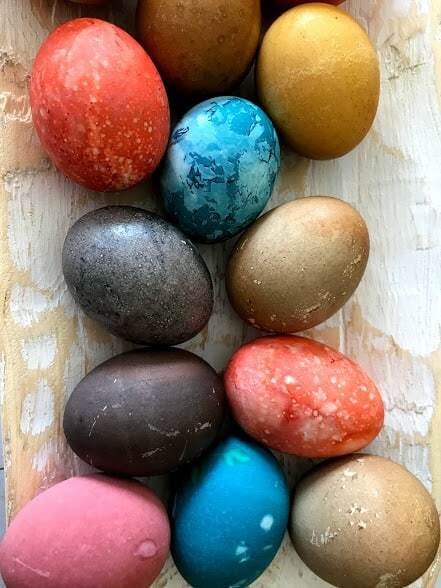 Refrigerate and let the eggs soak until they reach the desired color. Coffee and tea: Go ahead and brew; cool and add 1/4 cup vinegar and hard boiled eggs. Refrigerate and let the eggs soak until they reach the desired color. Spices: Heat 8 cups of water and add 8 tablespoons spice and 1/4 cup vinegar. Cool and add hard boiled eggs. Refrigerate and let the eggs soak until they reach the desired color. 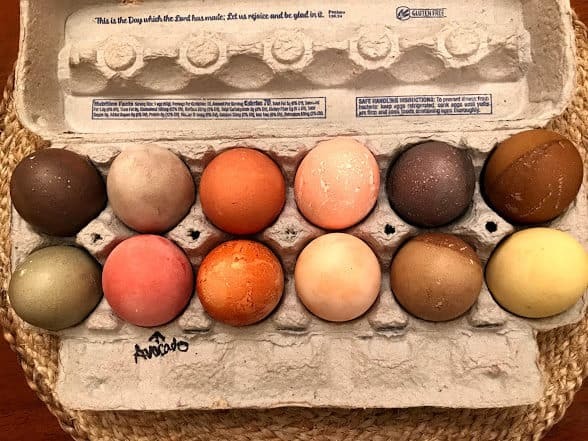 These eggs are just GORGEOUS!! !